All kids deserve an awesome play kitchen and some super yummy-looking play food to cook up endless make believe dining fun. If your child already has an eco-friendly play kitchen, but is low on supplies, check out Wild Marigold. 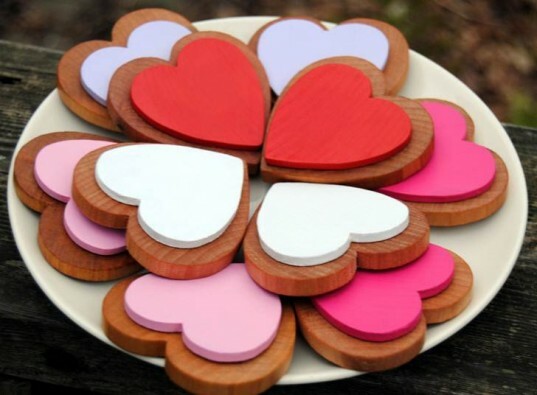 Wild Marigold makes some of the most beautiful wooden play kitchen food you've ever seen, perfect to help feed your child's creativity and imagination. Take the Wooden Play Food Picnic Set, for example. 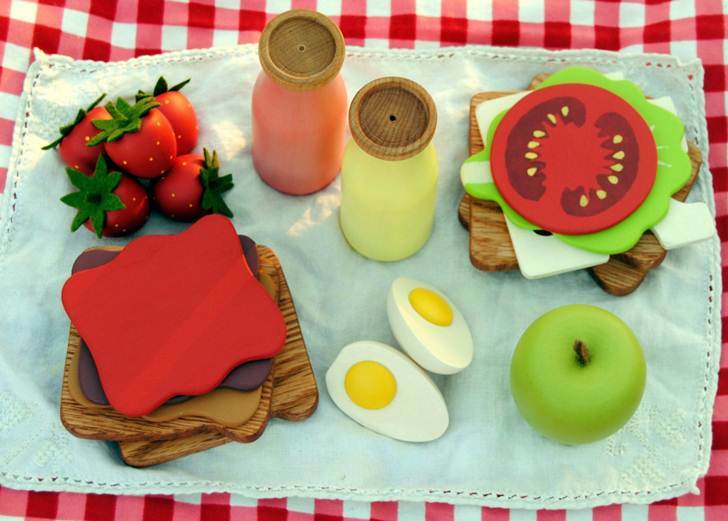 The attention to detail is stunning and the set comes with lots of pretty food for your child, including 2 sandwiches, 2 hard-boiled egg halves, 5 strawberries, 1 green apple, and 2 wooden bottles painted in yellow and pink to represent sweet, refreshing picnic drinks. 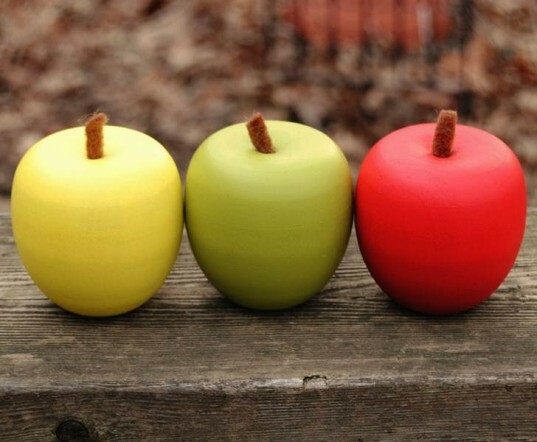 Keep reading to learn more about Wild Marigold and these gorgeous play food sets. Wild Marigold not only offers beautiful, natural play food for children’s play kitchens, but all products in the shop are inspired by Waldorf philosophy and inspire kids to use their imagination. Wild Marigold offers play food of course, but also handmade Waldorf dolls and doll clothes, wooden play food, wool play mats, and other eco-friendly handcrafted toys. Wild Marigold uses all natural materials like wood, cotton, wool, silk, soy, and beeswax. 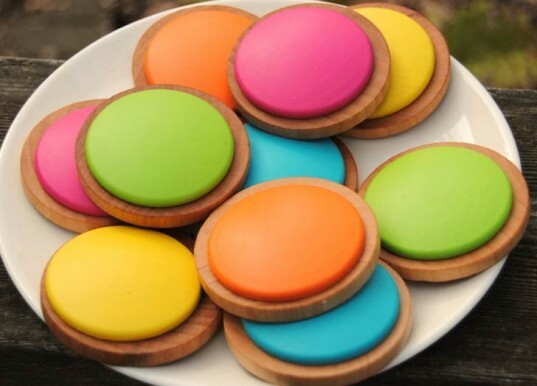 The paints used on the play food and other painted products is nontoxic soy paint in some amazingly bright and beautiful colors. Best of all, these less toxic paints are all complimentary, meaning you can easily mix and match food sets. Real open ended play is encouraged when you give your child beautiful options with plenty of details. This is exactly what you’ll find in this shop. For example, the delicious, hearty wooden play food breakfast set above comes with lots of sweet details that make this play food set extraordinary. 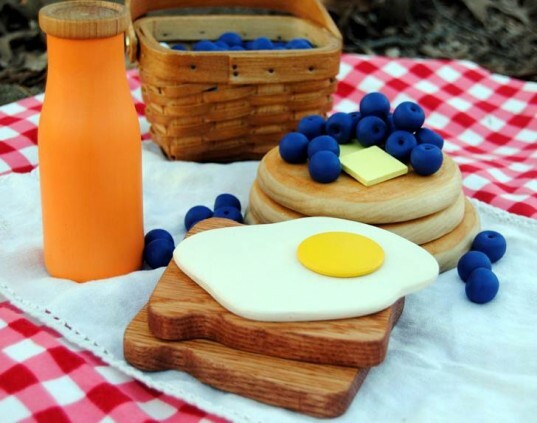 From the stackable toast and pancakes to the brightly colored bottle of juice to the little extras like 2 pats of butter and 25 blueberries, this play food set will 100% spark your child’s imagination and encourage her to play, redesign the food over and over again and serve breakfast up to the entire household. Some of the play food offered in the shop include wool elements, and Wild Marigold goes out of their way to source recycled or eco-friendly wool. For example, all the wool felt used in the shop’s play mats is created by felting thrifted wool sweaters in very hot water in the washing machine. Everything in Wild Marigold is handmade, lovely and all materials come from small American companies that are environmentally and socially conscious of their impact on people and the planet. Wild Marigold’s goods are all handmade, so if you’re ordering a play food set as a gift for a special occasion, such as a birthday party, be sure to order a good while ahead of time. Prices vary from $15 for a handful of berries to $75 for bigger all-inclusive play sets, but for what you get and the quality, these prices are completely reasonable and fair. Wild Marigold not only offers beautiful, natural play food for children's play kitchens, but all products in the shop are inspired by Waldorf philosophy and inspire kids to use their imagination. Wild Marigold offers play food of course, but also handmade Waldorf dolls and doll clothes, wooden play food, wool play mats, and other eco-friendly handcrafted toys. Wild Marigold uses all natural materials like wood, cotton, wool, silk, soy, and beeswax. 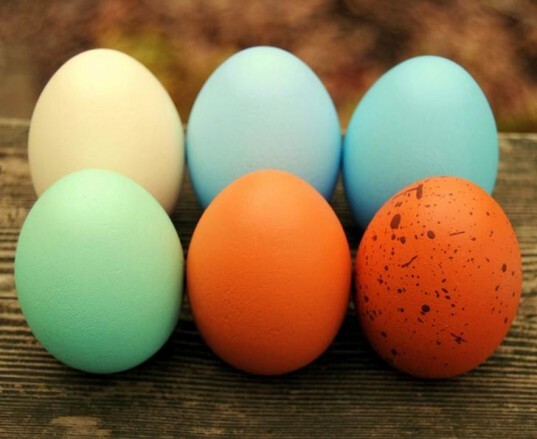 The paints used on the play food and other painted products is nontoxic soy paint in some amazingly bright and beautiful colors. Best of all these less toxic paints are all complimentary, meaning you can easily mix and match food sets. Real open ended play is encouraged when you give your child beautiful options with plenty of details. This is exactly what you'll find in this shop. For example, the delicious, hearty wooden play food breakfast set above comes with lots of sweet details that make this play food set extraordinary. From the stackable toast and pancakes to the brightly colored bottle of juice to the little extras like 2 pats of butter and 25 blueberries, this play food set will 100% spark your child's imagination and encourage her to play, redesign the food over and over again and serve breakfast up to the entire household. Some of the play food offered in the shop include wool elements, and Wild Marigold goes out of their way to source recycled or eco-friendly wool. For example, all the wool felt used in the shop's play mats is created by felting thrifted wool sweaters in very hot water in the washing machine. Wild Marigold's goods are all handmade, so if you're ordering a play food set as a gift for a special occasion, such as a birthday party, be sure to order a good while ahead of time. 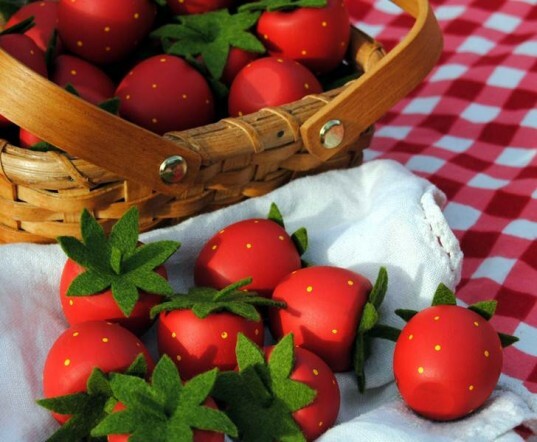 Prices vary from $15 for a handful of berries to $75 for bigger all-inclusive play sets, but for what you get and the quality, these prices are completely reasonable and fair.